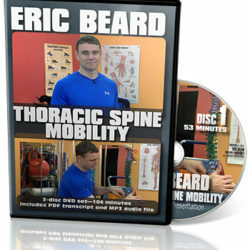 Do your clients also put up with tense shoulders and neck pain? The average American spends around 45 minutes a day commuting to and from work, and spends incredible 11 hours a day on digital media, including activities like watching TV, surfing the internet on their phones, and doing work on their computers. These activities are often done sitting down, which can wreak havoc on a person’s posture and put stress on different parts of the body. One of the key places this stress and tension ends up is in the cervical thoracic junction, an often overlooked region that lies at the base of the neck and at the shoulders. Long flights, long car trips, train rides and long days at school or work hunched over at a desk—these all cause muscle tension that ends up in the cervical thoracic junction. Tension that builds up in the cervical thoracic region then ends up affecting the areas that surround it—the neck and shoulders—and can impact heavily on daily living. What’s more, these problems can’t be fixed with massages or anti-inflammatory medications, which only address the symptoms, not the underlying cause. This makes understanding how to prevent and treat the underlying issues at the cervical thoracic junction very important for professionals who work with both athletes and the general population suffering from tense shoulders and neck pain. The cervical thoracic is a complex area that can have tremendous impact on the health of the surrounding areas, including the shoulders and neck. Despite this, the region is often overlooked by professionals. To illustrate, a search on the term “lumbar spine” on the biomedical and life science search engine PubMed, and it returns around 83,000 articles on the topic. A search on the term “thoracic spine” returns around 34,000 articles, and a search on the term “cervical spine” returns around 68,000 articles. However, when it comes to the term “cervical thoracic junction,” only around 960 articles are returned. 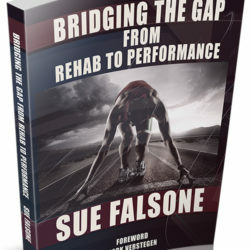 To fill this gap and provide greater awareness and education of this crucial area and how to treat it, Sue Falsone has created The Cervical Thoracic Junction: The Missing Link In Relieving Shoulder Tension & Neck Pain—a DVD lecture explaining the anatomy of the cervical thoracic junction, as well as simple exercises to prevent and treat issues in that area. 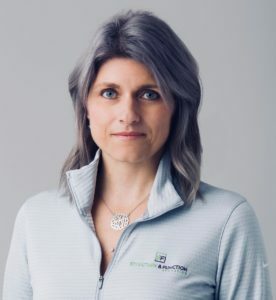 Having spent six years working with professional baseball players at the L.A. Dodgers, and thirteen working with elite athletes across a range of sports at EXOS (formerly Athletes Performance), Sue Falsone has developed a wealth of knowledge and experience in treating issues in and around the shoulder and neck. … you’ll find Sue Falsone’s The Cervical Thoracic Junction: The Missing Link In Relieving Shoulder Tension & Neck Pain a valuable addition to your professional library. Most of all, you’ll be equipped with the knowledge and tools necessary to start freeing people from pain and soreness in their shoulders and neck. This video is 58 minutes. The physical DVD is one disc, 58 minutes.